Nephi explained that one important key to understanding Isaiah is knowing “the manner of prophesying among the Jews” (2 Nephi 25:1). He mentions that his people struggled with Isaiah precisely because they did not know this manner of prophecy.1This is a problem that persists for many people today. One common idiom found in Nephi’s quotation of Isaiah is a great example of something that is better understood when the ancient Israelite cultural background is brought into the picture. It is the phrase, “For all this his anger is not turned away, but his hand is stretched out still” (see 2 Nephi 15:25; 19:12, 17, 21; 20:4). Latter-day Saints typically understand the Lord’s outstretched hand as a sign of the Lord’s mercy toward Israel: Despite his anger, the Lord continues to extend his mercy.2 Within the ancient Israelite and broader ancient Near Eastern context, the meaning of this phrase was quite the opposite. John Gee, a Latter-day Saint and professional Egyptologist, explained, “The English sentence is constructed to say that in spite of the punishments afflicted (‘for all this’), the punishments do not satisfy the Lord’s anger (‘his anger is not turned away’).” Gee continued, “In other words, to the contrary (‘but’), the hand of the Lord is still ‘stretched out.’” Gee thus concluded, “So a stretched out hand, by any careful reading of the English, is a hand administering punishment,”3 or, at least, threatening or beginning to do so. One important lesson to be drawn from this is to realize how easy it can be to misunderstand a particular phrase of scripture.9 As with Nephi’s people, modern readers often struggle to correctly read the ancient scriptures, not knowing enough “concerning the manner of prophesying among the Jews” (2 Nephi 25:1). 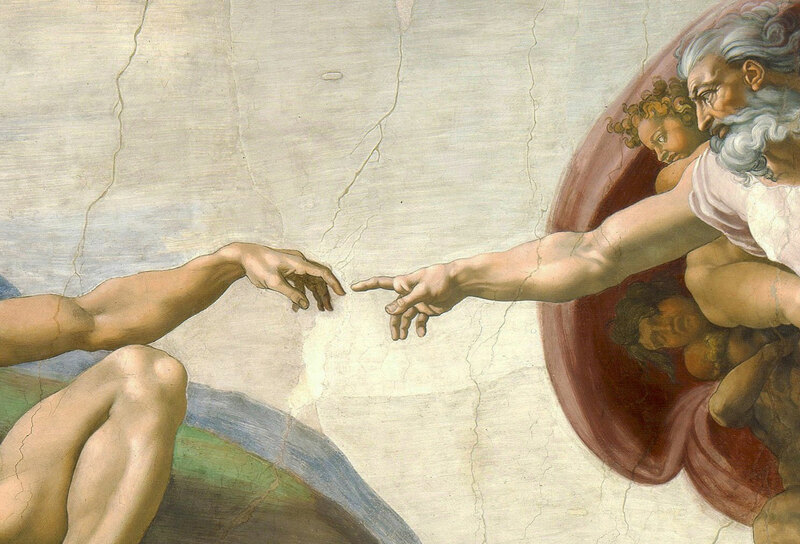 While today it is easy to understand why people might commonly see the outstretched hand of God as a gesture of blessing, in the ancient world the hand of God was sometimes used in a negative sense, as it is in this case. This dramatically changes the way God is portrayed in these Isaiah passages. Rather than portraying God as angry yet still merciful, these verses focus on God in righteous indignation and divine wrath. Understanding this emphasizes the prophet’s recognition of the serious consequences of Israel’s sins and their continuing unrepentance. God’s hand is still outstretched toward Israel as a stern warning. While this is ominous, it is still to be understood that he has not given up on his people (see Jacob 5:47). For their sins, the people will still be punished, but this will be for their eternal benefit, to bring them to repentance. Few spiritual lessons are more important and more wonderful to learn in life than coming to know and feel, as did the Prodigal Son, the encircling arms of the Father, falling on the neck of the repentant son (Luke 15:20). God’s welcome is always waiting, but in the meantime, his arm shakes to warn all transgressors of the dire, impending consequences of choosing to persist in disobedience. Reading Isaiah 9:12 similar passages in Isaiah 2–14 with the proper understanding of the cultural background and style of ancient Israel opens up additional meanings in the great words of Isaiah. Understanding Isaiah is difficult enough as it is. Hence, it all the more important that Nephi’s guidance is followed, especially when it allows us to adjust and dig more deeply to cultivate the roots of cherished passages of scripture. John Gee, “A Different Way of Seeing the Hand of the Lord,” Religious Educator 16, no. 2 (2015): 113–126. Donald W. Parry, “Nephi’s Keys to Understanding Isaiah (2 Nephi 25:1–8),” in Isaiah in the Book of Mormon, edited by Donald W. Parry and John W. Welch (Provo, UT: FARMS, 1998), 47–65. Avraham Gileadi, “Isaiah—Key to the Book of Mormon,” in Rediscovering the Book of Mormon, ed. John L. Sorenson and Melvin J. Thorne (Salt Lake and Provo, UT: Deseret Book and FARMS, 1991), 197–206. 1. See Book of Mormon Central, “How Does Nephi Help Us Understand Isaiah? (2 Nephi 25:4),” KnoWhy 47 (March 4, 2016); Donald W. Parry, “Nephi’s Keys to Understanding Isaiah (2 Nephi 25:1–8),” in Isaiah in the Book of Mormon, edited by Donald W. Parry and John W. Welch (Provo, UT: FARMS, 1998), 47–65; Avraham Gileadi, “Isaiah—Key to the Book of Mormon,” in Rediscovering the Book of Mormon, ed. John L. Sorenson and Melvin J. Thorne (Salt Lake and Provo, UT: Deseret Book and FARMS, 1991), 197–206. This is a problem that persists for many people today. 3. John Gee, “A Different Way of Seeing the Hand of the Lord,” Religious Educator 16, no. 2 (2015): 114. 4. Gee, “A Different Way,” 114. 5. See the textual arrangement in J.J.M. Roberts, First Isaiah: A Commentary, Hermeneia: A Critical and Historical Commentary on the Bible (Minneapolis, MN: Fortress Press, 2015), 157–158. 6. Roberts, First Isaiah, 157. 7. Gee, “A Different Way,” 114–115. 8. Gee, “A Different Way,” 115. This kind of imagery is also present int Jacob's speech (2 Nephi 6–10), which is likewise drawing on Isaiah. See Daniel Belnap, “'I Will Contend with Them That Contendeth with Thee': The Divine Warrior in Jacob's Speech of 2 Nephi 6–10,” Journal of Book of Mormon and Restoration Scripture 17, no. 1–2 (2008): 20–39. 9. See E. Randolph Richards and Brandon J. O’Brien, Misreading Scripture with Western Eyes: Removing Cultural Blinders to Better Understand the Bible (Downers Grove, IL: InterVarsity Press, 2012). 10. Gee, “A Different Way,” 124–126.